In the Brisbane suburb of Yeerongpilly flat-pack furniture is being re-imagined. Here, joiner Ben McGreevy recently launched furniture company Oak and Hide, using Australian Hoop Pine to craft furniture that will be ingeniously flat-packed for delivery but guaranteed to out-live its cheaper flat-packed rivals by decades. McGreevy has abolished the need for allan keys, dowels, fasteners and bolts (which are often discarded anyway). 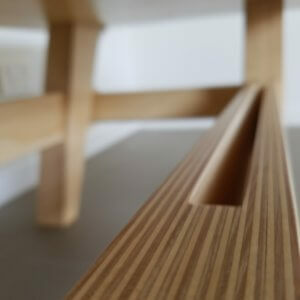 A desktop Computer Numerical Control (CNC) machine has allowed McGreevy to design and create timber joinery with pinpoint accuracy including many complicated joints that are not possible to achieve by hand. 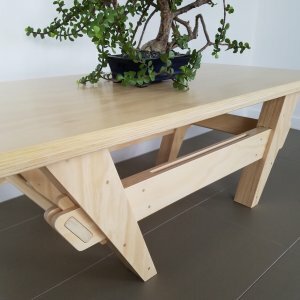 The Oak and Hide coffee table is his flagship product, borne out of his frustration with flat-packed furniture – it features a clean, simple design, with strong joints, that doesn’t require any tools to assemble. “Even though I have probably assembled and disassembled this piece more than 50 times, I still enjoy slotting the pieces together.” McGreevy explains. McGreevy also sets his work apart from competitors by remaining staunchly committed to using sustainable timber. 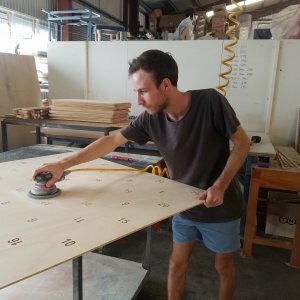 For his coffee table, he chose Australian Hoop Pine after initial trials with Australian hardwoods such as Blackbutt proved to be too heavy to meet his flat-packed delivery requirements. Oak and Hide can be also be assured of the sustainability credentials of the Hoop Pine it has selected because it was sourced from both a forest and processor with Responsible Wood certification. The Hoop Pine Ben selected for this table began its life in the shady corner of one of HQ Plantations’ Queensland forests. Responsible Wood certifies HQ Plantations according to the Australian Standard for sustainable forest management (AS 4708) an independent and rigorous assessment process, ensuring they employ best practice in sustainable forest management. Once harvested, the Hoop Pine was transported to Austral Plywoods for processing. 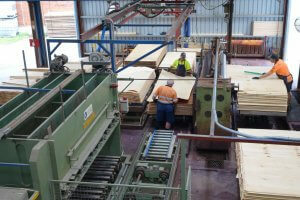 Austral Plywoods also prides itself on its Responsible Wood accreditation (to AS 4707, relating to chain of custody) and recognises the advantage this certification provides them over competitors. Chain of Custody refers to an environmental certification system where an unbroken chain from a certified, sustainable forest (in this case HQ Plantations) right through to the end user can be demonstrated against the AS 4707 criteria. The advantages for companies like Oak and Hide trying to make informed, responsible choices when selecting materials is self-evident. 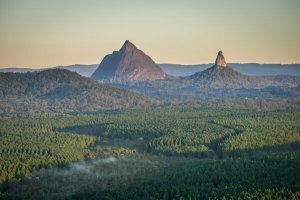 Responsible Wood certification gives Australia’s timber industry and its end users peace of mind about its origins and the way in which this precious resource has been managed.